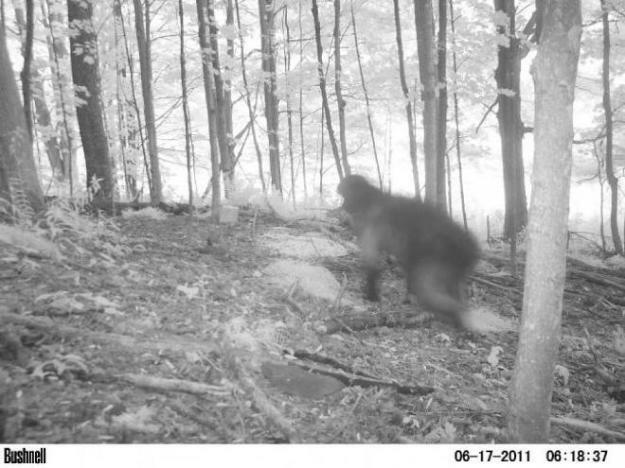 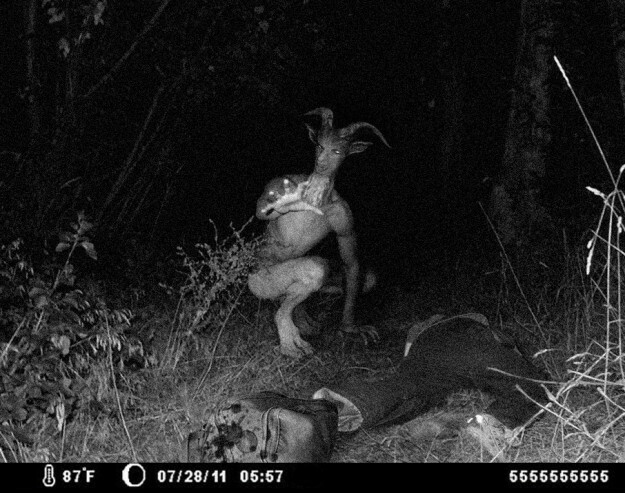 Halloween is coming soon and to help get you in the mood, we wanted to put out these 10 Scary Trail Camera Photos. 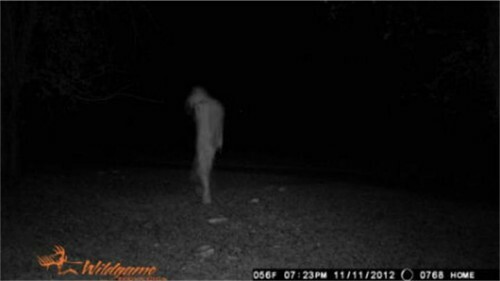 I know that if I went out to check my camera and came home to some of these, I’d be a little bit freaked out. 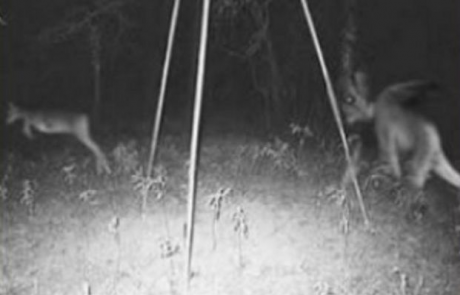 Check out these 10 Scary Trail Camera Photos and please send us your freaky trail cam photos and we’ll put them out on the site. 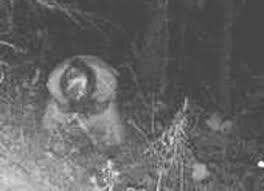 This old lady showing up on your camera would probably give you a little scare when you saw it on your laptop. 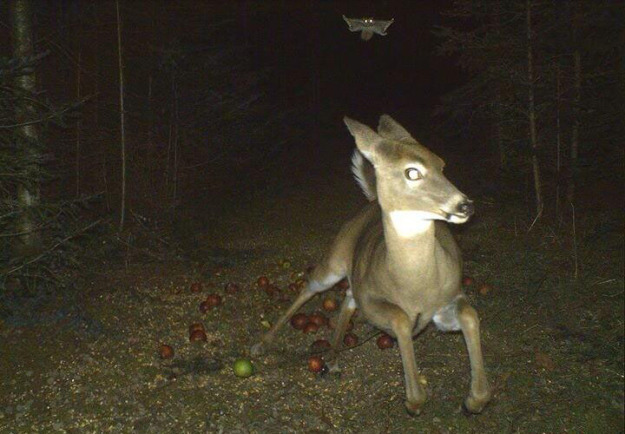 This doe does not want anything to do with the bat that is closely following her. 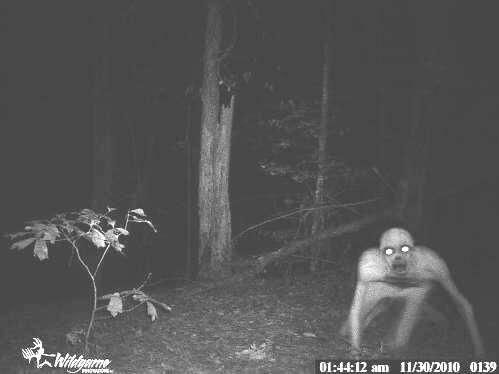 This is definitely something that would scare me when I pulled my card from my camera and plugged it into my computer. 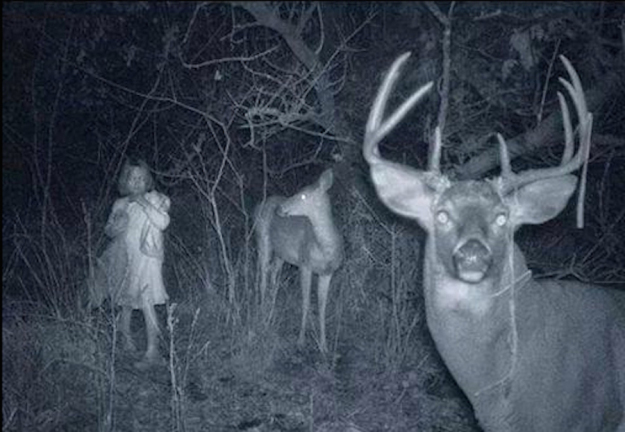 Let us know if you’ve found any scary trail camera photos when you’ve checked your cameras. 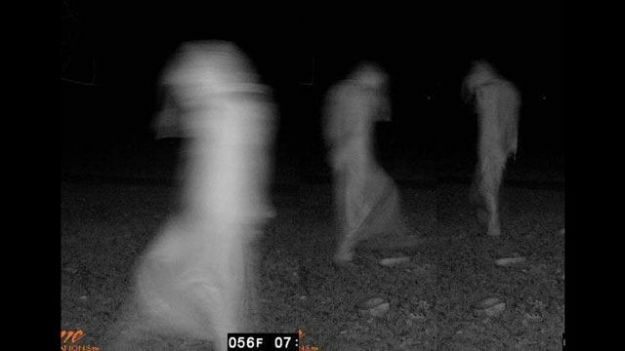 Check out our user submissions and if you liked this article, you may like these terrible camo wedding photos as well.